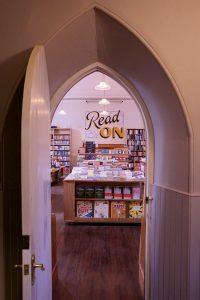 Since 2011 Helen and Stan have run Forum Books, an award-winning independent bookshop in Corbridge, Northumberland and as I’m writing this I’m wondering how to do justice to what this place means to me as a reader and a writer. There’s something about walking in and seeing all those books that excites me afresh about the possibilities the world offers – those stories I’ll live; the things I can try; the people I’ll meet. The range is hand-picked, eclectic and just damned inspiring. That’s not enough to make a bookshop great though is it? 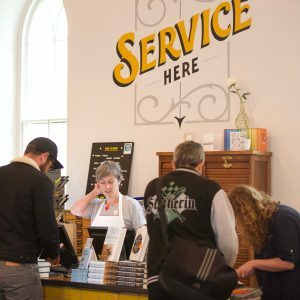 That extra something here comes from the enthusiasm the staff have for the printed word – they are happy and eager to talk books and match you up with a recommendation they think you’ll love. This isn’t pushy selling – if you want to browse go ahead, it’s a lovely place to do it. Before owning her own bookshop, Helen worked in publishing and also for one of the big bookstore chains, so she sees the book selling process from both sides. This comes across in the number of extra things offered to bring books to life for reader and author. The list of author and illustrator events is long and impressive. Just off the top of my head I can remember Tess Gerritson, Emma Healey, Tara Westover, Mari Hannah, Ann Cleeves, Emma Bridgewater, Victoria Hislop, Diana Henry, Matt Haig and Emily St. John Mandel. Soon there will be Kate Atkinson. Writers, scientists, calligraphers, cyclists, cooks, you name it, they’ve had an event – all are well-attended and lively. There are also story times and book clubs and Forum Books works with local schools to bring authors in to talk to children. It’s not just big-name authors who are supported, I have had all my book launches with Forum Books and have seen how much time and effort is given to encouraging and providing opportunities for other local writers. 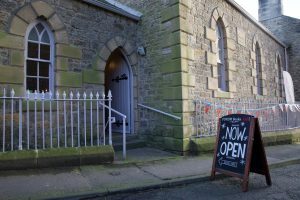 In February of this year, the bookshop moved from the Market Place in Corbridge, to the old chapel. 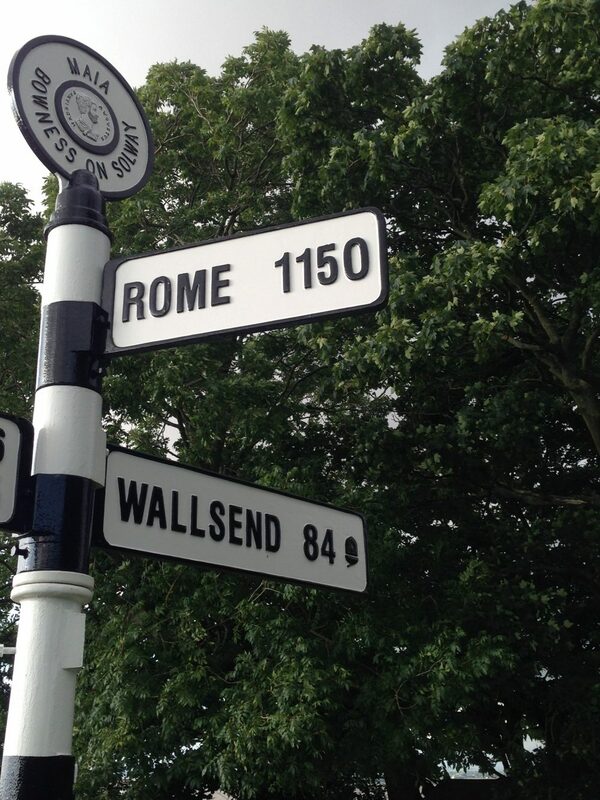 As it’s a listed building, the transformation had to be sympathetically done to retain many of the original features. The photos on this page, courtesy of Ian Wylie, show the bright and beautiful result. One last thing – business rate dispensation has been given to pubs in recognition of their community value, with qualifying pubs able to get £1,000 discount on their annual rates. 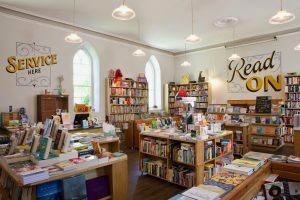 Booksellers bring community and cultural benefits to the areas they are based in too and there is now a petition asking for independent bookshops to receive the same exemption as pubs. You can sign it here and listen to Helen being interviewed about it on Radio 4’s Today programme, here. Knowing what to write about today is easy – my new website. Many thanks to New Writing North, Creative Fuse and the whole Digi-Transform team for all the advice, support and technical magic and to my mentor Katy Carr. I have, for the last few years, had a fallow period where I’ve had to put writing to one side. And so this programme has come at the perfect time – it’s been a lovely opportunity to take a look at what I’ve achieved, what direction I want to take next and how I engage with readers and other writers. All in all, an interesting and uplifting experience. I hope you’ll take a look at the website and if you are a writer, please get involved in the Writers’ Resources page/s and let me know what particular books, websites or courses have helped you with your writing. 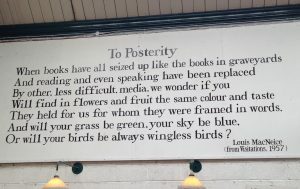 My next blog post will be about my local bookshop. To find out why it’s so special, see you back here next week. 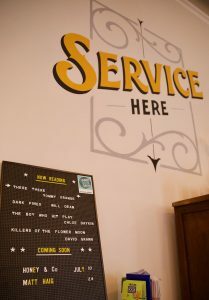 But before I go, I took the photo at the bottom of the page at another bookshop in Northumberland, Barter Books in Alnwick. It’s an interesting piece of poetry written before the internet, but strangely prescient.